It is FryDay and you did not come here to play games!!! You take your fries seriously. That’s why you need to get to Leave Rochelle Out of It for Wisco Disco Fries!! 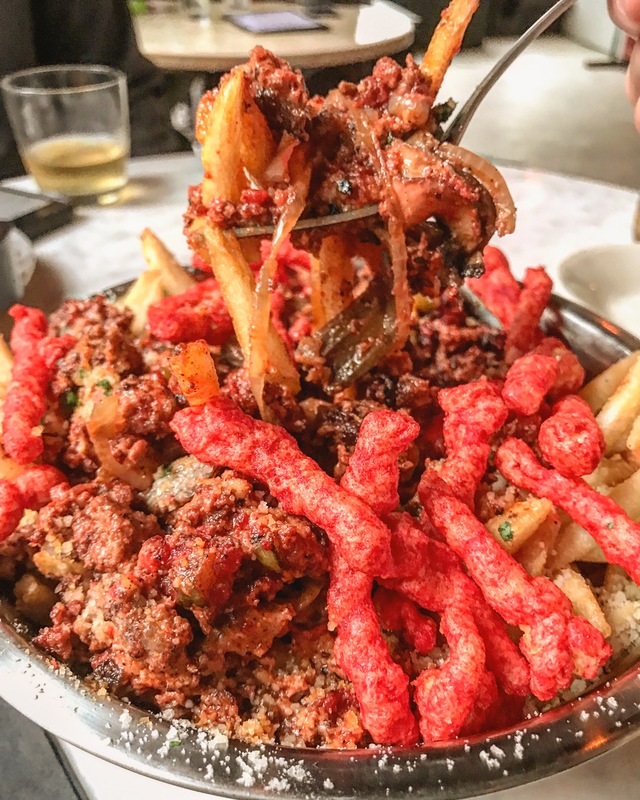 These no hold barred fries are topped with spicy hot Cheetos, ground beef and melted cheddar. This entry was posted in Bar, French Fries, New York and tagged french fries, hot cheeto fries, leave rochelle out of it, nyc. Bookmark the permalink.